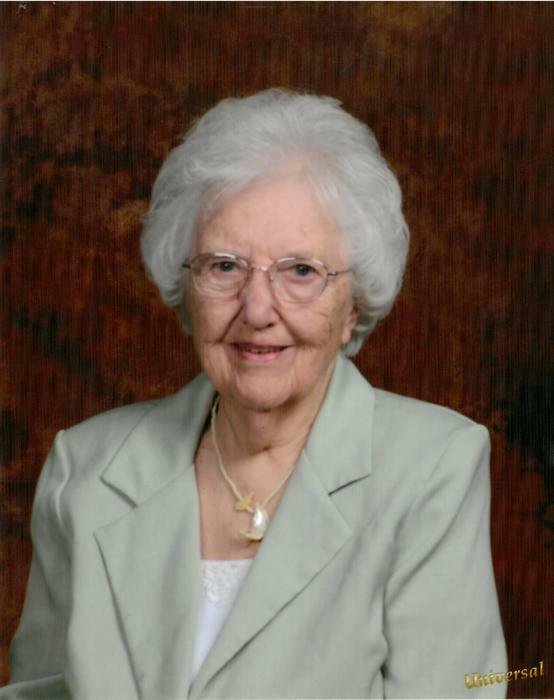 Mrs. Myrtle Ellen Lawson, age 98, of Ekron, KY, passed away on Monday, December 3, 2018, at her residence. Mrs. Lawson was a member of Buck Grove Baptist Church. Mrs. Lawson was born June 14, 1920, the daughter of Albert J. and Alma E. Phillips Mahan, who preceded her in death along with her husband, James G. Lawson. Mrs. Lawson is survived by four children, Kathleen Muhd, Ekron,KY, Edgar (Patti) Lawson, Santa, ID, Lisbeth (Johnny) Prickett, Boaz, AL, Albert (Susan) Lawson, Louisville, KY; seven grandchildren, Alex (Gina) Muhd, Naomi (Tom) Smith, Jim (Sadie) Lawson, Ricky (Jeannie) Dowell, Scott (Jen) Dowell, Anna Lawson, Brenton (Lindsey) Prickett; a brother, Chester (Marcia) Mahan, Frankfort, IN; 19 great grandchildren; and six great-great grandchildren. Funeral Services will be held at 11:00 AM on Friday, December 7, 2018, at the chapel of the Hager Funeral Home, with Rev. David Campbell officiating. Burial will follow in Buck Grove Cemetery. Visitation will be held at the funeral home from 5:00 until 8:00 PM on Thursday, and after 9:00 AM on Friday. Expressions of sympathy may take the form of contributions to Buck Grove Baptist Church for Centrifuge and Centrikid camps.